Azure Functions Unveils a 'Premium' Plan — If you’re a Big, Serious Enterprise™ Azure Functions’ newest plan may be for you! Seriously though, you’ll gain pre-warmed instances (no cold starts! ), the ability to run on much beefier instances (with up to 14GB of memory), but also a monthly fee. Don't Code If You Don't Have To When Serverless — When you first discover serverless approaches, it’s tempting to code a solution for every little problem, but not everything ‘serverless’ actually requires code as seen in this example. 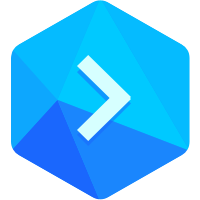 Deploy Only the Parts of Your Application That Have Changed — Unlike most Continuous Integration (CI) solutions, Buddy only re-builds the parts of your application that have changed and deploys your updates in seconds to any cloud. Start building better serverless apps faster with Buddy. faastRuby Intends to Open Source Its Platform to Accelerate Serverless Adoption — faastRuby is a serverless platform for Ruby and Crystal (a Ruby-like compiled language) developers. Call for Papers for ServerlessDays London 2019 — The event, taking place in London this July, is seeking submissions for talks. The CFP closes on May 13 so you have a while. Using Serverless 'Reapers' to Lower Your AWS Bill — A look at how serverless functions can be used to keep your AWS bill in check by automatically destroying resources you’re not actually using. How to Send Text Messages from a Static Site using Netlify, Twilio and Serverless Functions — Netlify is a popular platform for deploying static sites but its Lambda-powered Functions functionality can be used to make things a little more dynamic. Comparing Nuclio with AWS Lambda — A comparison of the Nuclio serverless platform with AWS Lambda, including some new use cases Nuclio can unlock.